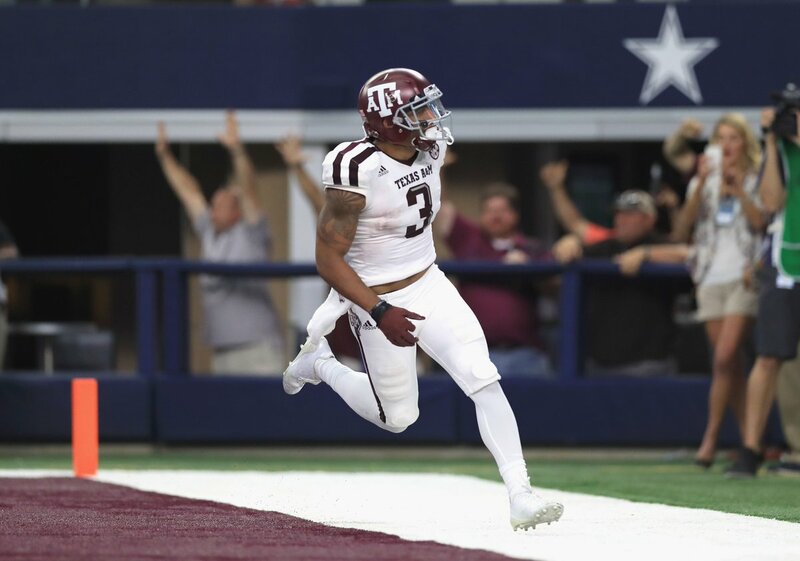 Texas A&M-LSU Preview: Can Kevin Sumlin Save His Job With His First Win Over LSU? Texas A&M head coach Kevin Sumlin began the 2017 college football season on the hot seat. It cooled off a little as the season played out, but losses to Mississippi State and Auburn turned the heat back up. Beating Ole Miss Saturday night and improving to 7-4 helped, but it also reminded fans of what they’ve grown tired of. They’ve grown tired of finishing the season 8-5. Yes, it is nice to win more than you lose. But in a state where football is more religion than a sport, that is not enough. LSU head coach Ed Orgeron has had fans calling for his job as well. Losing to Mississippi State was not good, but when the Tigers lost to Troy—well, that was more than many fans could handle. He has since guided the team back into the top 25. As for himself, he’s back in the hearts of many of the fair-weather fans previously calling for his head. If Sumlin wants the haters to back off, he needs to beat LSU. Doing so will put the team in position for a 9-4 season and lock up a winning record in conference play for the first time since 2012. It wouldn’t hurt that the Aggies could accomplish something they have yet to do under Sumlin. The bane of Texas A&M’s existence against LSU is stopping the run. Over the last five seasons, the LSU run game has gone for at least 219 yards, as much as 384, and featured at least one 100+ yard rusher. 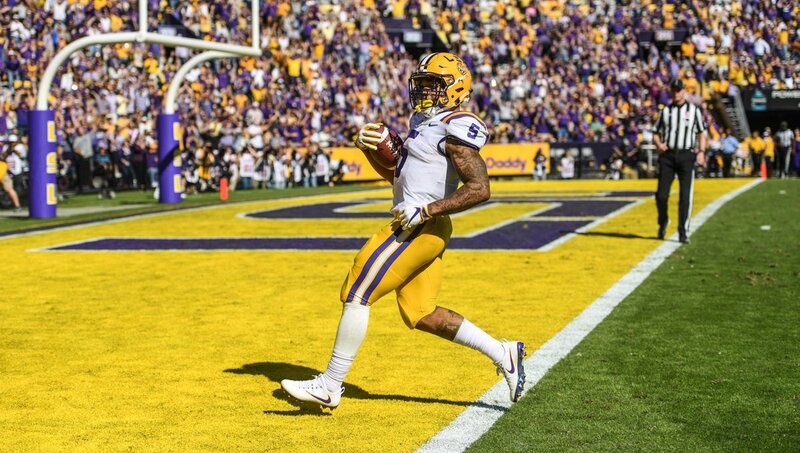 Last season’s game featured an epic performance by Derrius Guice, 37 carries for 285 yards and four touchdowns. If they are going to have any shot at beating the Tigers, they have to slow down the run. They did manage to hold three top 20 run games (Alabama, Mississippi State, and Auburn) below their season average, but they still allowed each to rush for 200+. An argument could be made that they can slow down the LSU run game. But can they slow it down enough? It may not matter. Danny Etling looked like a legitimate college quarterback against the Aggies last season with a 324-yard passing day, his first (and only) for LSU and the second of his career (he had a 485-yard day against Indiana his freshman season at Purdue). So—can they slow down the run game while not getting torn apart in the passing game? Last season’s pass defense finished the year ranked 91st in the country. This year, the unit is ranked 48th (212.5 yards/game allowed). Their run defense is not great, but it’s ranked in the top half of the country (57th; 156.8 yards/game allowed). Yes, it is quite possible that they could. But the bigger question may be whether the Aggies offense can generate points against a very good LSU defense. The Tigers defense is tough against the run (30th; 132.9 yards/game allowed) as well as pass (18th; 181.5 yards/game allowed). On paper, the Texas A&M defense could be up to the task of slowing down the LSU run game and not letting Danny Etling pick them apart. But it is hard to picture the Aggies offense having a lot of success against LSU’s defense. This one will likely come down to who makes the last (or the most) mistakes, and who can take advantage of them. Texas A&M’s defense has been very opportunistic this season, but Etling has only thrown two interceptions this season. If the Aggies can put some pressure on Etling, maybe they can force a rare mistake. However, LSU is sixth in the nation in lost fumbles. If the Aggies can cause a couple, they could make this interesting. Will they win? Probably not, but LSU is not going to cover the spread (10.5 points). Take the Aggies and the points.